Customers in the manufacturing of solar panels, doors, windows, fittings and bath armatures appreciate and benefit from our core competency. In many cases, due to their large physical size, parts can no longer be economically produced on conventional CNC machines. Here SUHNER Machining has the perfect solution. The high flexibility of the SUHNER modular system and our expert knowledge largely allow all cutting operations to be performed at the same time. Irrespective of the dimensions of the work piece and number of operations. 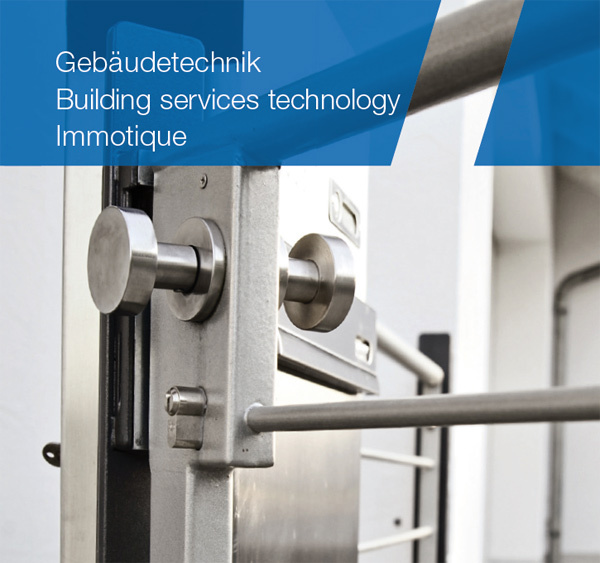 SUHNER Machining supports the production of many components in building services technology and in the consumer goods industry. SUHNER Machining emphasizes the importance for simplicity in handling and ease of maintenance for all of its customer solutions. The modularity of the component systems plays a major role. We offer 3D CAD design support that leads to quicker solutions and helps facilitate the planning and design phase for a proposed machine concept.